In this Dru Yoga workshop you will learn and experience new ways to move that will help to release tension in your mind and body. We will assist you find your core, strengthen and bring balance and stability in your body. 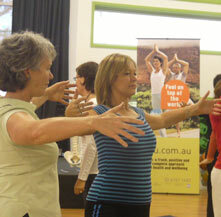 Dru New Zealand Regional Manager Sue Cleaver will lead the workshop, with assistance from local Dru Yoga Teachers. 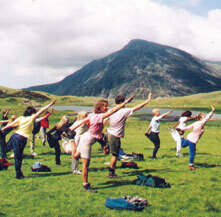 Together they will guide you through discovering the depth and uniqueness of Dru Yoga. To Book: please make a direct credit of $40 to the Dru Australasia NZ Bank acc 06-0958-0133100-00 and put Rangiora and your surname and first name as a reference. Then email info@dru.co.nz to let us know your registration has been paid. To book please make a direct credit of $40 to the Dru Australasia NZ Bank acc 06-0958-0133100-00 and put Rangiora and your surname and first name as a reference. Then email info@dru.co.nz to let us know your registration has been paid. Registration opens at 1:00pm so please arrive in time to register and enjoy a cup of tea.